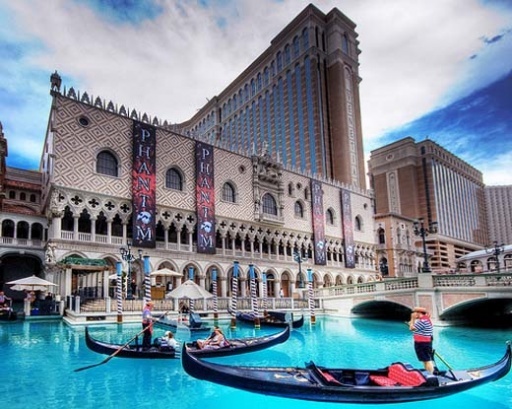 Las Vegas is a bright oasis in the Nevada desert and, if you've never been, selecting the best hotel for your needs can be a confusing and overwhelming task. With dozens of 5 star hotels vying for your attention along the beautiful Vegas strip, along with hundreds of hotels scattered throughout the city, there are lots of options to choose from for your Vegas getaway. To make your hunt for that perfect hotel just a little bit easier, we've scoured the city in search of the best. To get you into the Vegas mood you might want to read about 10 gamblers who managed to outsmart the casino. With a sophisticated Italian ambience, the Venetian, constituting numerous shops, dining places and luxurious rooms offers a fabulous experience to every tourist. The lobby, adorned with colorful Italian marbles, houses a statue made up of 24 karat gold and a towering frescoed dome and emanates in every respect the opulence characteristic of Venice. 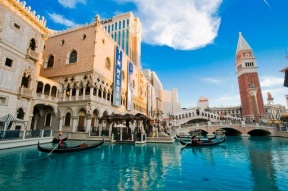 Replicas of famous Venetian landmarks like Doge's Palace, Campanile Tower and more are found within and outside. When it comes to dining, The Venetian delights your palate by offering a range of menus from Asian, French and Italian to contemporary American cuisine. 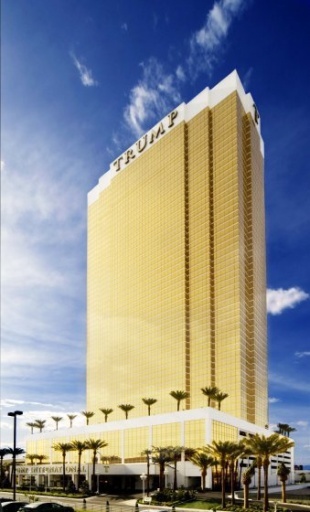 Comprising a 64 story golden tower housing 50 luxurious Penthouse suites and more than 1200 elegantly furnished guest suites, the Trump International hotel makes for a perfect family destination. Each and every room offers breathtaking views of the city alongside a royal background of the neighboring mountains. Another striking feature of the hotel is its eye-catching deck on the 7th floor which has a heated pool surrounded by air-conditioned cabanas constituting plasma TVs and wet bars. Trump International has an expert culinary team offering sophisticated dining facilities.